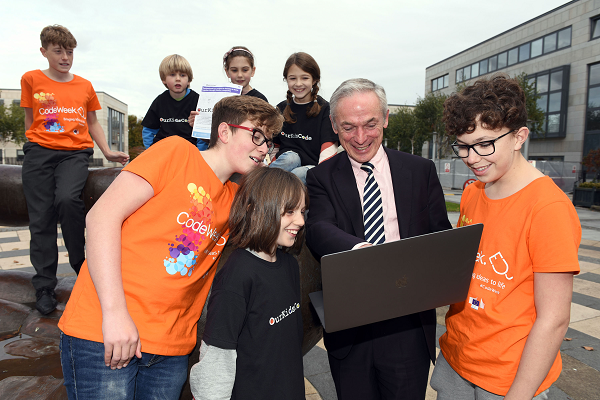 SCSS at Trinity College Dublin has launched a new programme which aims to help parents engage their children in creative computing. The programme, “OurKidsCode”, is a joint project between Trinity and the National Parents’ Council (NPC) that supports parents and guardians who wish to develop their primary school children’s interest in coding and computational thinking. The programme also hopes to enhance parents’ own confidence with technology. Bresnihan also noted that she “started to realise the huge potential for parents to play a significant role in sparking and supporting interest in computing,” following positive responses to pilot workshops. “We are excited to now develop a suite of workshops that will offer these opportunities to hundreds of primary school children and their parents and guardians nationwide,” Bresnihan continued. Surveys conducted by the programme indicate that many families have been inhibited from engaging with coding because of a lack of knowledge, skills and resources, which has led to parents feeling disconnected from their children’s computer usage. One parent who took part in pilot workshops called it an “excellent learning opportunity for us all – youngest (6 years old) right through to the eldest (eleven years old)”. 95% of parents surveyed by the programme agreed that all children should have an opportunity to learn about computing and 84% said they’d like to learn with them and help their children understand what computer programming does. Pilot workshops in Co. Dublin and Co. Mayo involved families being guided through creative computing projects, such as using coding to enhance the game Rock-Paper-Scissors and to create a Dance Mat connected to a computer which could be coded to play music as you stepped out the dance. Following the launch, future workshops are to be carried out after-school in primary schools, with facilitators trained by the programme team leading the workshops.